Having a signature celebration opens Lance Stephenson up to humiliation. (Being Lance Stephenson, generally, also opens him up to humiliation.) 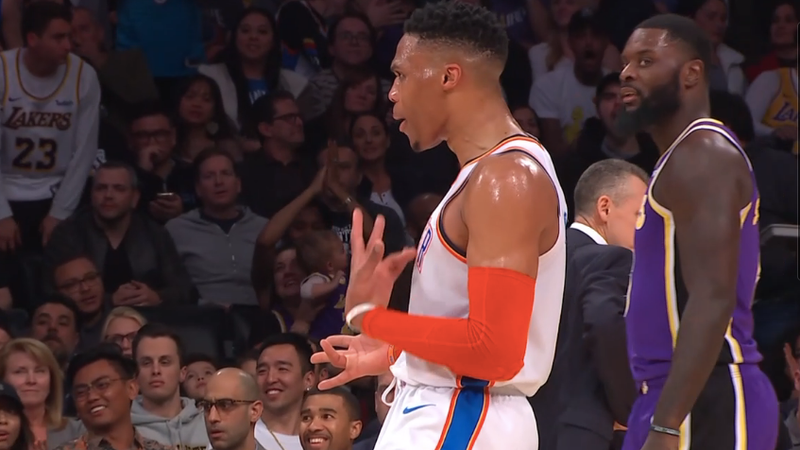 Just before halftime in the Thunder’s win over the Lakers Wednesday night, Paul George stripped his former Pacers teammate, fought him off as he clamored to get the ball back, and drained the and-one. Then, Russell Westbrook did what had to be done. Anyway, it’s fine, you can borrow it—just don’t return it with any broken strings or anything, okay?